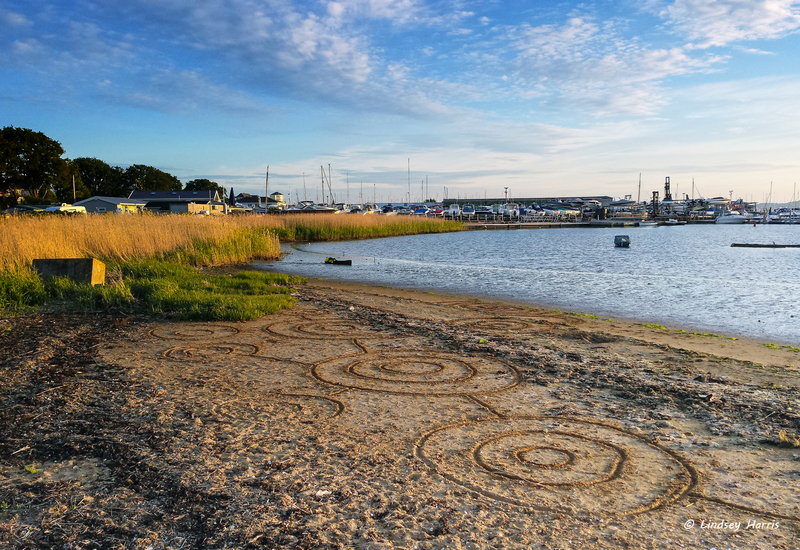 Yesterday evening the weather was beautiful so I cycled to Baiter, by Poole Harbour. I only had my mobile phone with me, but managed to capture the amazing cloud formations and evening light. Also some interesting artwork in the sand.